NEO gemstone information: The Ideal Cut NEO is made to mimic a diamond very closely. It cuts down on the high dispersion to create shorter lengths of light thus making the appearance different from C&C's round cut. Ownership of a NEO makes you part of an elite group who wisely chooses a conflict-free gem and those who seek an ethical source for their jewelry needs. 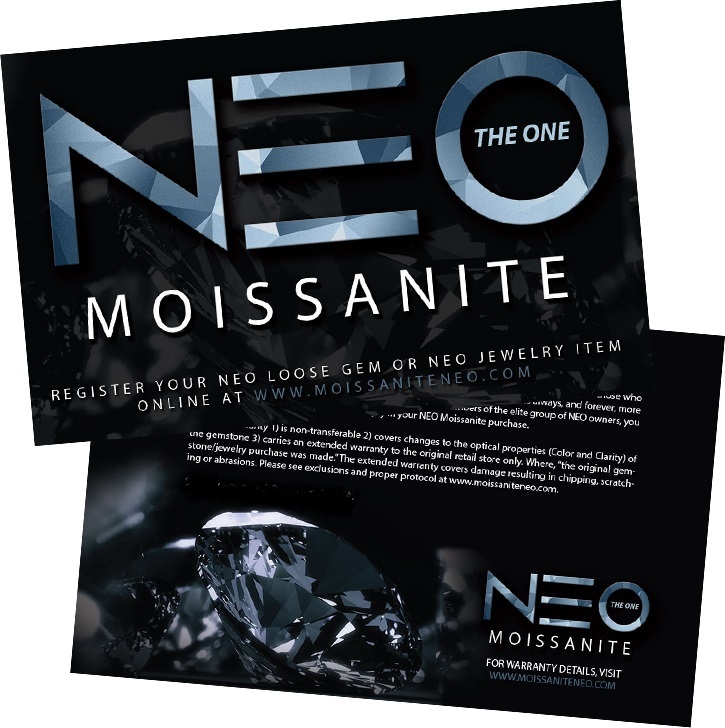 As members of the elite group of NEO owners, you will walk with great satisfaction, pride and joy in your NEO Moissanite purchase. In the improbable event that the optical properties of your NEO moissanite change, please contact the NEO customer service department via email at warranty@moissaniteneo.com with a copy of your original receipt and registration ID number.